I am a fortunate foodie who was born and grew up in Penang island, Malaysia. Yes, the food heaven island that is well-known for its variety and where the best Malaysian food can be found. So I am qualified enough to judge if Char Kuey Teow (Penang style) is true to its name, taste and authenticity. Go ask anyone from Penang, Malaysia … we are very particular on the food we eat (only the best will do) as the island has the best of the best to offer. 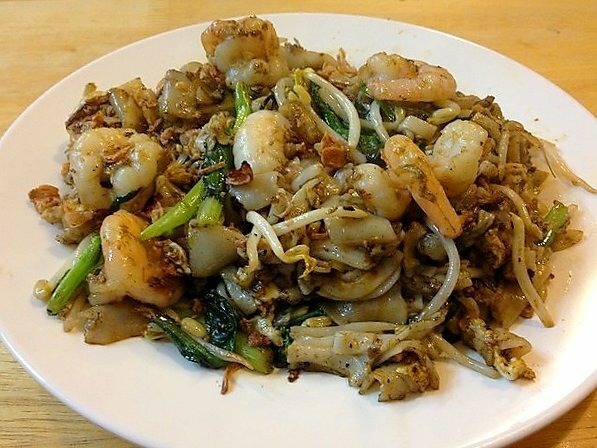 It is common that foodies from Kuala Lumpur and even Singapore travel all the way to Penang to savour the food there. Until the next best Penang Char Kuey Teow joint arises, I will savour what Sue’z Delight has to offer.